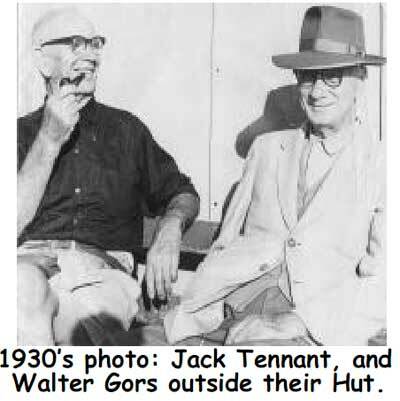 The far left hut in photo above was built by Jack Tennant and joint owned by Walter Gors who worked for Warringah Council 1926 to 1968 and was Shire Clerk during the 1950s. 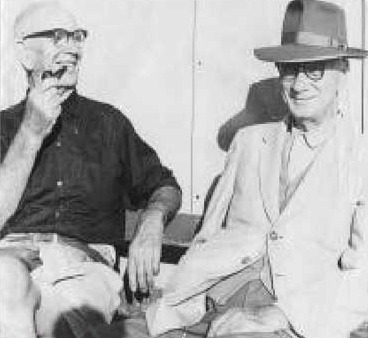 It was later sold to a Fred Hynes. 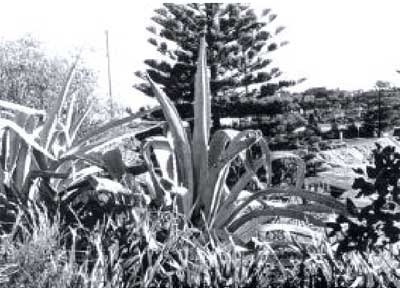 In the centre hut lived a lady who grew typical colonial plants – carpet roses, geraniums and cactus (Agave americana) which can be still found growing in the area. This may – be “The Cat Lady” referred to in history books. Phil O’Martin owned another hut which is not shown in photo. A German sailor called Paul, his mates Clarrie Hill and later Ben. 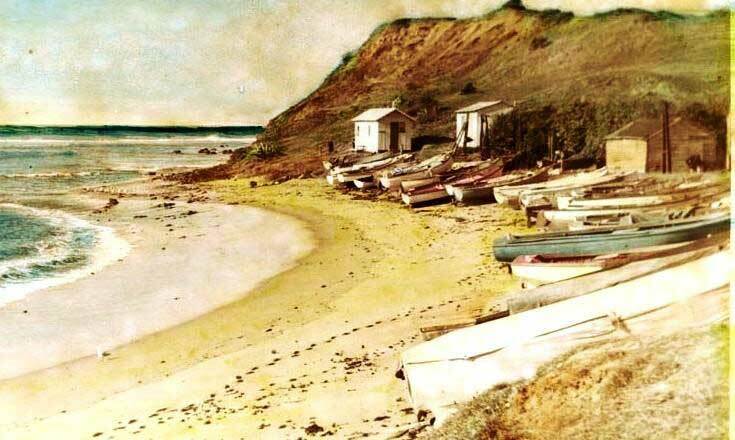 All the fishermen’s huts except “The Big Hut” were removed in the 1950’s. 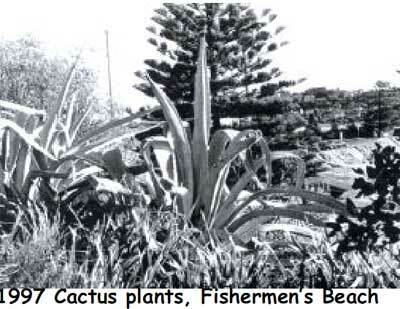 The Cactus plants Agave americana planted by the Cat Lady in the 1920’s inspired eight locals in 1997 to form Reefcare. They joined Warringah Council’s Friends of the Bush to remove these noxious Cactus, carpet rose, Japanese honey suckle plants, geraniums, garden pea and other remnant non-native plants. NOTE: Photo and information provided by the President Long Reef Fishermen Frank Dawe & John McDougall, Reefcare member and grandson of Mr Gors.